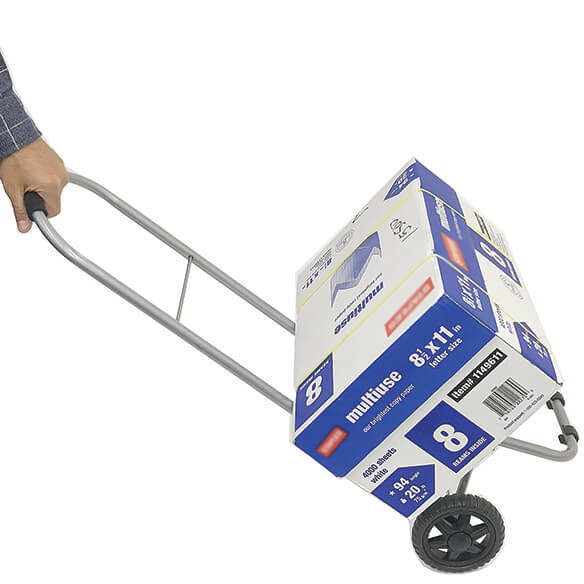 All-in-one Ultra Light Folding Dolly Cart offers comfort and versatility on the move. 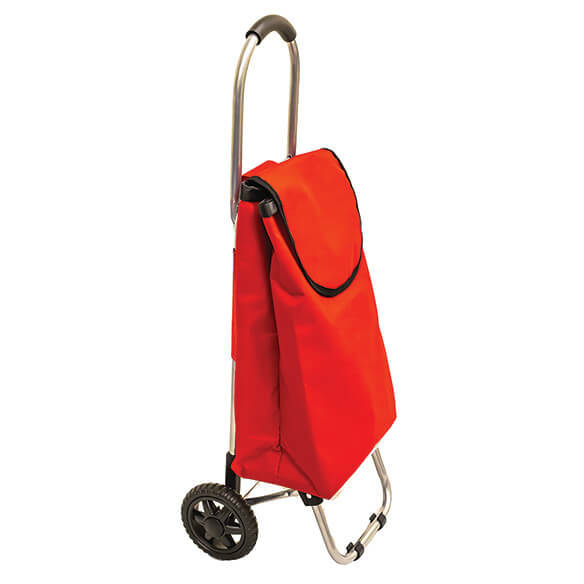 Rolling cart with roomy bag stores and carries groceries and other items. Remove the bag and you have a dolly that makes light work of moving items up to 50 lb. Size is ideal for maneuvering small spaces. This cart is very light weight and foldable. The red bag is thin and looks like it will not hold up to a lot of heavy usage, like carrying groceries from your car. When you unfold it to put it together, there is a bar that snaps onto another bar. It looks like the bar could easily unsnap and the cart would collapse. It seems very flimsy to me and I will probably return it, as I haven't used it yet. It's not worth the price I paid. To more easily carry shopping items.